Awnings are one of the most popular shade solutions in Australia. They can be seen almost everywhere – in homes, shops, restaurants and even along sidewalks. One big reason behind their popularity is that they are extremely effective in providing shade. If you’re planning on investing in an awning, then you’re certainly making a great choice. But, before you head out and make a purchase, you should know a little more about them. Thankfully, as the owner of Global Shade, I’m here to help you out! Continue reading this post as I answer some of the most asked questions related to awnings. These are the top questions that customers have asked us in 2017 when purchasing an awning from us. 1. In what sizes are they available? Awnings can be custom manufactured to any size and shape. While they can be designed to fit irregular shapes, they are more commonly used in rectangular forms. Typically, an awning can be manufactured to cover sizes of up to 7x7m. 2. What is an awning made of? An awning consists of a high-quality shade fabric which is stretched tightly across an aluminium or steel frame. Awnings can be motorised or manually operated, depending on the design of the structural frame. 3. Does an awning provide all-weather protection? Yes. Awnings that are manufactured using top grade waterproof shade fabrics do provide all-weather protection. At Global Shade, we manufacture our awnings using top grade HDPE and PVC fabrics and can add a waterproof coating to them to make them 100% waterproof. Our awnings offer protection from the sun and its UV rays, the rain, strong winds and even hail! 4. How much does an awning generally cost? The cost of an awning here in Australia can vary considerably depending on a number of factors. These include the size, the quality and type of fabric, the framing mechanism and site conditions. Typically, our awnings here at Global Shade will cost you between $250-$700 per square metre. 5. How long does an awning last? 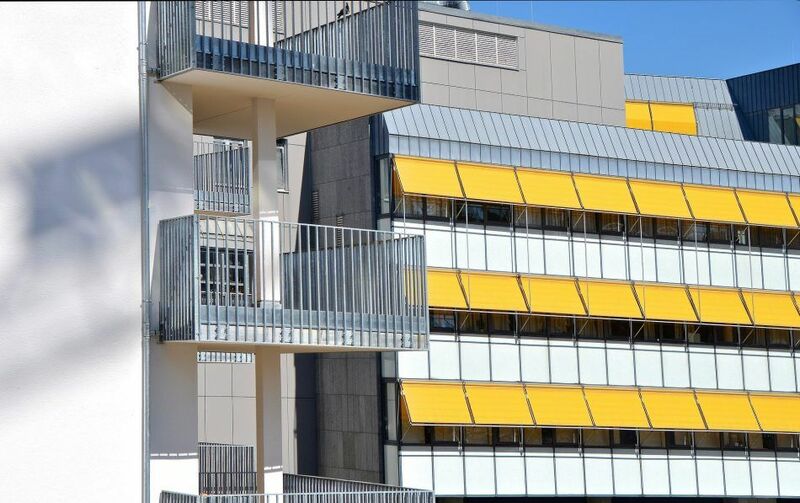 The life of an awning completely depends on the quality and type of the fabric used. While lower grade fabrics generally last 5 years, high grade fabrics can last 10 years or more. At Global Shade, our top-grade awnings will easily last you more than 10 years. 6. How do I get an awning installed? To get an awning installed, you first need to measure the area you want covered. I recommend you to consider a simple rectangular area other than irregular shapes as this will make installation easier. Once you have this area measured out, you can contact awning manufacturers to custom design an awning for you. While it is possible to install an awning on your own, I highly recommend you to consider professional installation. This is because an awning needs to be properly measured, laid out, levelled and securely fastened for best results. Also, if there are no fastening points for your awning, professionals will create these fastening points. With the help of professionals, your awning installation is sure to go smoothly. If you are considering purchasing an awning, then you probably have a few questions. Some commonly asked questions include what sizes are they available in, what are they made of, do they provide all-weather protection, how much do they cost, how long do they last and how to get them installed. These are some of the top questions customers ask us here at Global Shade. If you have any other questions, doubts or queries regarding awnings, or you want to place an order, please feel free to contact us.